Colored pencils have been around for a long time. And now most of them are very cheap and often associated with kids or school. 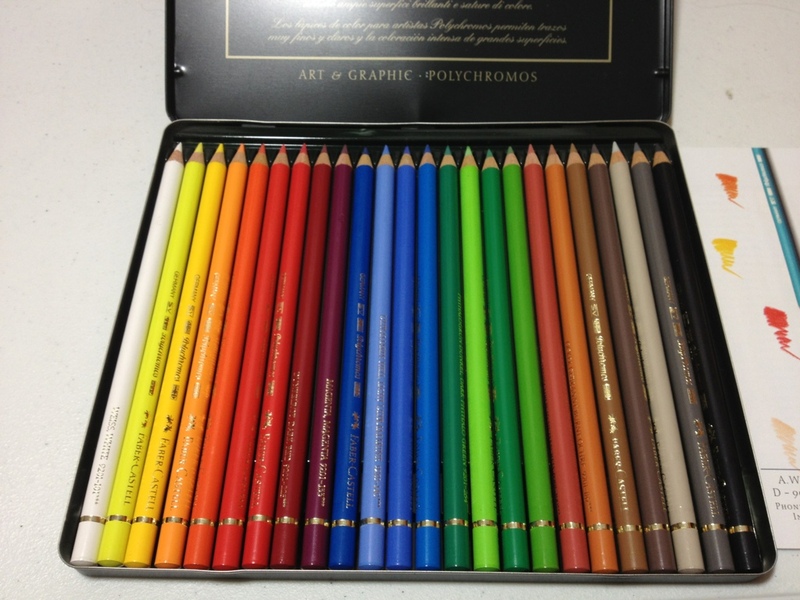 However, if one does want to look into the more expensive world of colored pencils there are plenty to choose from. 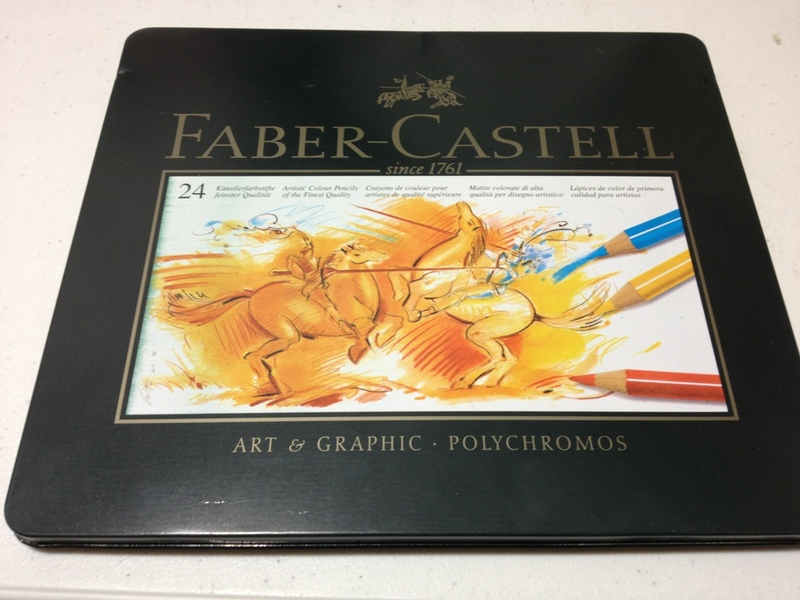 Let’s take a look at the Faber-Castell box of 24 Colour pencils. The pencils come in a nice, if easily dent-able metal case. Inside the case the pencils are stored in a row on a plastic tray. The pencils themselves are thicker than most pencils and nicely circular. They will sharpen in standard pencil sharpeners but be wary of the lead. On the side is a hard-to-read but nice logo and color information section. They are not slick and have a very matte finish that holds well in the hand. The color of this finish matches the color of the lead fairly well if not exactly. The lead itself is hard and brittle. The colors are not nearly as vibrant as those of Crayola or other such colored pencils, giving them a much more realistic tone. The full range of colors is wonderful, with some very subtly different colors and some nice earth tones. The lead comes off well on paper and is quite opaque as most colored pencils are; they do not want to bleed or mix which is another reason why the full compliment of colors is nice. When drawing, it is best to watch how hard you push, as too hard can easily break the lead and not enough will lead to unsatisfactory coverage.